A multi-family property is any building designed to house more than one family in separate housing units. The most popular of these are apartments/condominiums and townhouses. However, in our multiple listing service, condos and townhouses are separated into their own search parameters, because they’re individual units for sale, and multi-family is reserved for duplexes, triplexes, and quadruplexes, which are whole buildings for sale and what I will be writing about here. Multi-family homes aren’t for everyone. However, if your circumstances are right, they can provide some important advantages for you. You can live in one unit and rent out the others to help pay your mortgage. Multi-family rentals are hot at the local beaches! There’s a growing demand for rentals. You get to control who you live next to. You may be able to save money on utilities and cable. 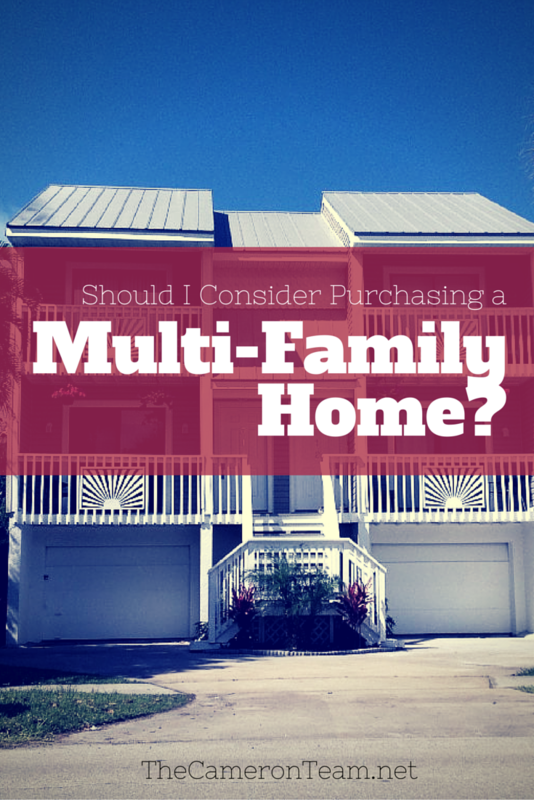 Multi-family properties are good for keeping family close by while allowing them to have a “separate” home. There’s potential to make some good money off them. Multi-family homes are harder to sell. They appreciate at a slower rate (but don’t bottom out as quickly as single family homes). Multi-family homes are treated differently by the IRS than single family homes (deductions are only available for your portion of the residence). Buildings deteriorate quicker due to extra wear. Being a landlord can be stressful: you’re basically a small business owner, who is required to handle all repair issues, and you’ll need to maintain a savings to pay for them. You’re relying on someone else to pay on time. So, if you’re looking for a property that will help save you money on your mortgage or will allow you to keep your family close and are willing to take on the responsibilities of being a landlord, you may want to consider purchasing a multi-family home. If you’re interested in seeing any of the multi-family homes on the market right now, give us a call or send us a message through our Contact page. Likewise, if you have any questions about financing. We’re always willing to help!